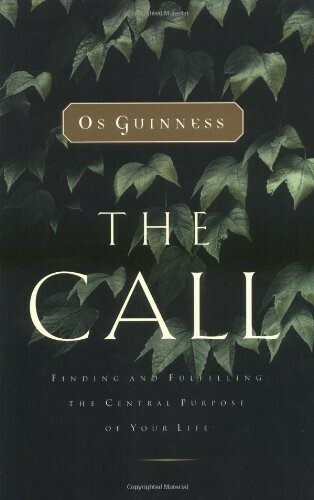 The Call: Finding and Fulfilling the Central Purpose of Your Life by Os Guinness. Thomas Nelson. 256 pages. 1998. • Another aspect of the truth of calling—calling is the best antidote to the deadly sin of sloth. • It is what the medievals spoke of as “the noonday demon.” It is a sluggishness of spirit, feeling, and mind that eventually overcomes the body like an after-lunch languor. • There are three principal points of entry for modern sloth. The first is philosophical. Loss of faith in God, and therefore in eternity and immortality, leads inexorably to an erosion of vitality in life itself. • The second point of entry for sloth is cultural. We think of the rise of the modern world as the story of dynamism, energy, progress, and achievement—which it is. But we often overlook its other side. The world produced by such dynamism is a world of convenience, comfort, and consumerism. And when life is safe, easy, sanitized, climate-controlled, and plush, sloth is close. • The third main entry point for sloth is biographical. There are natural points in our lives when each of us is especially prone to losing a sense of the worthwhileness of the worthwhile. • Midlife crises that are genuine and not simply fashionable are generally due to the tensions between three very different desires: for successful careers, for satisfying work, and for rich personal lives. • At that point many people jump to the opposite extreme where another frustration looms. They go wrong in thinking that “success” failed to satisfy because it was secular whereas “significance” will be fulfilling because it is religious. That is actually the “Catholic distortion” again. • The troublesome contradiction is not between secular and religious work but between work that is inspired by gifts and calling (whether secular or religious) and work that is directed solely by career. • Awakened to our deepest gifts and aspirations, we know that consideration of calling always has to precede considerations of career and that we can seek the deepest satisfaction in work only within the perspectives of calling. • Nowhere was this challenge more plain than in knowing what we believed and why. • Yet here we see another dimension of the truth of calling— calling directly counters the great modern pressure toward secularization because the call of Jesus includes a summons to the exercise of the spiritual disciplines and the experience of supernatural realities. • Properly defined, secularization is the process through which the decisive influence of religious ideas and institutions has been neutralized in successive sectors of society and culture, making religious ideas less meaningful and religious institutions more marginal. In particular, it refers to how our modern consciousness and ways of thinking are restricted to the world of the five senses. • Today, for some people all of the time and for most people some of the time, secularization ensures that ordinary reality is not just the official reality of the modern world but the only reality. • In short, the modern world quite literally “manages” without God. We can do so much so well by ourselves that there is no need for God, even in his church. • The call to follow Jesus Christ runs directly counter to this deadly modern pressure toward secularization. First, Jesus summons us explicitly to a kingdom and a life made qualitatively different by their supernatural dimensions. • Second, Jesus not only calls us to follow him but shows us the essential place of spiritual discipline in his own life. • For Jesus, spirituality is plainly not a life of contemplation divorced from a life of action. There is nothing in Jesus’ life of either the super-spiritual “Catholic distortion” or the all-too-secular “Protestant distortion” we saw earlier. There is only a rhythm of engagement and withdrawal, work and rest, dispensing and recharging, crowds and solitude, in the midst of one of the shortest, busiest public lives ever lived. • If we are not to be dried up, our secular lives require supernatural refreshment too. But equally, if our supernatural experience is not to become an end in itself and a source of indulgence and pride, we must resolutely descend from the mountain peaks of vision to the valley of ordinary life where our callings take us. The New Testament knows no monasteries or monks, only spiritually disciplined disciples in a demanding, everyday world. • Third, Jesus calls us to specific spiritual disciplines that are vital to sustaining calling itself. • Solitude is vital for training us to stand against the excesses of our culture. • Today we tend to talk of “work” and “leisure” as opposites. • The modern world has scrambled things so badly that today we worship our work, we work at our play, and we play at our worship. • So while it is fruitful to reflect on a Christian critique of society’s view of leisure at any particular time, it is absolutely essential to think through Christ’s view of rest and spiritual discipline for his disciples for all time. • Followers of Christ live by faith alone to the glory of God alone. As we saw earlier, there is no sacred vs. secular, higher vs. lower, perfect vs. permitted, contemplation vs. action where calling is concerned. Calling equalizes even the distinctions between clergy and laypeople. It is a matter of “everyone, everywhere, and in everything” living life in response to God’s summons. • So the two priests locked the church doors on Sunday night as a statement that followers of Christ were to live their whole lives to God. The bricklayer with the trowel, the farmer behind the plow, the artist before the easel, the cook beside the oven, the magistrate presiding at the bench, the parent at the crib—each one was to live out his or her calling without regard to titles, hierarchies, and distinctions. Locked out of church, they were to stay out as a demonstration of the lordship of Christ over every inch and second of life. • And it points to yet another dimension of the truth of calling— calling directly counters the great modern pressure toward privatization because of its insistence that Jesus Christ is Lord of every sphere of life. To be more specific, calling keeps us from the deadly triangle of pitfalls currently bedeviling faith in public life. • As used here, privatization is the process by which modernization produces a cleavage between the public and private spheres of life and reinforces the private sphere as the special arena for individual freedom, fulfillment—and faith. • Beyond question, the private sphere in modern life represents incredible freedom. More people can choose more, do more, buy more, see more, and travel more than ever before. The results may be chaotic or regrettable, but in opening up for us “a world of our own,” the private sphere provides an unprecedented chance to think and act independently. • There is unprecedented freedom, but only within the limits of the private sphere. • But woe betide the person who expects similar freedom in the public world of work—the world of Wall Street, Capitol Hill, IBM, and NASA. That is a different world with different ways. We may have prayer breakfasts before work maybe. Or a Bible study group in the lunch hour perhaps. But in much of the normal working world, personal convictions, along with hats and coats, are to be left at the door. • Many people fail to see that private life in the modern world is a harmless play area for believers. It serves as a sort of spiritual Indian reservation or Bantustan, a homeland for separate spiritual development set up by the architects of secular society’s apartheid. And the trouble is, most Christians are unaware of the problem and simply love to have it so. • What privatized faith lacks, in one word, is totality. People may say and sing that “Jesus is Lord,” but what they demonstrate is something else. • Thus again and again and at point after point it has to be said: The problem with Western Christians is not that they aren’t where they should be but that they aren’t what they should be where they are. • For all the recent high-profile public activism of some Christians, most Christians are probably still subject to the confines of privatization and its damage to the practice of faith in every part of life. • The second pitfall for faith in public life is “politicization,” virtually a direct reaction to privatization. • If Christian identification with a political movement is so close that there is not any clear remainder, then the church has fallen for a particularly deadly captivity. • The third pitfall for faith in public life is “pillarization,” an odd-sounding word that goes back to the Netherlands of Abraham Kuyper. In the face of the problem of expanding pluralism, the Dutch response was to encourage each faith community to build its own network of institutions and organizations in its own sphere. Thus Protestants built not only churches but also Protestant schools, Protestant universities, Protestant newspapers, Protestant labor unions, and so forth. And of course the Roman Catholics and Humanists did the same, the latter without the churches. The effect was to “pillarize” Dutch society. • If privatization is a denial of the totality of faith and politicization is a denial of the tension of faith, pillarization has proved deficient too. In practice it undermines the transformation of faith. Instead of being “salt” and “light”—images of a permeating and penetrating action—Christians and Christian institutions become soft and vulnerable to corruption from within. • Many other things are required too—a rediscovery of the genius of voluntary associations and a clear articulation of a public philosophy, for a start. But nothing is more essential for the penetration of modern society with integrity and effectiveness than the recovery of calling. Calling resists privatization by insisting on the totality of faith. Calling resists politicization by demanding a tension with every human allegiance and association. Calling resists pillarization by requiring an attitude toward, and action in, society that is inevitably transforming because it is constantly engaged. • Magellan demonstrated the fortitude of a life in focus. As such, his story opens a window on another side of calling—calling directly counters the great modern pressure toward pluralization because the call of Jesus provides the priorities and perspectives that are essential for a focused life in an overloaded age. • Yet another ugly word, pluralization is the technical term for the third great pressure the modern world exerts on faith. Pluralization is the process by which the proliferation of choice and change rapidly multiplies the number of options. This affects the private sphere of modern society at all levels, from consumer goods to relationships to worldviews and faiths. • To be modern is to be addicted to choice and change. These are the unquestioned essence of modern life. • Some of the effects of pluralization are devastating but subtle. For example, the increase in choice and change leads to a decrease in commitment and continuity—to everyone and everything. • But other effects are terribly obvious—above all the way in which choice and change lead quickly to a sense of fragmentation, saturation, and overload. • The result is not only overload but also a profound loss of unity, solidity, and coherence in life. • How does calling speak to this everyday modern predicament? Obviously it is not a magic wand that makes the array of choice and change disappear and pieces together our shredded lives. But the very character of calling counters the fragmentation and overload at key points and opens up the secret of a focused life in a saturated world. • First, calling subverts the deadly modern idolatry of choice. • But ultimately only one thing can conquer choice— being chosen. Thus, for followers of Christ, calling neutralizes the fundamental poison of choice in modern life. • Second, calling provides the story line for our lives and thus a sense of continuity and coherence in the midst of a fragmented and confusing modern world. • Follow the call of Christ despite the uncertainty and chaos of modern circumstances, and you have the story line of your life. • Third, calling helps us to be single-minded without being fanatics. • The remedy, needless to say, lies in setting wise goals and setting aside everything else. But how? • Life itself is a state of siege. But a sense of calling helps because it provides the bull’s-eye at the center of the widening concentric circles that are life’s possibilities. • In any and all situations, both today and tomorrow’s tomorrow, God’s call to us is the unchanging and ultimate whence, what, why, and whither of our lives. Calling is a “yes” to God that carries a “no” to the chaos of modern demands. Calling is the key to tracing the story line of our lives and unriddling the meaning of our existence in a chaotic world. • Calling, by breaking through with an outside perspective on the present, is a prime source of Christian vision and Christian visionaries. • The Caller may be unseen and the destination unknown, but those who follow his call have a voice above and vision ahead that subverts every status quo and unsettles every resting place. • Indeed, vision is so central to calling and so explosive in its consequences that it is wise to set it out in direct contrast to the counterfeits that give it a bad name. • More particularly, calling’s vision must be guarded at three main points. First, we must beware of spurious visions. • God’s calling inspires and guarantees only those visions that are truly the result of calling. • On the other hand, vision and imagination, cut loose from the anchor of God’s calling, are vulnerable to debunking. • Christian vision, by contrast, must be held accountable because it is inspired directly or indirectly by the call of God. • Hebrews 11 is the great honors list of visionary faith, a stirring catalogue of men and women whose vision of God called them to live and work against the customs, values, and priorities of their generation. • Second, we must guard visionary faith by watching out for the pitfalls toward which genuine vision pulls us. Calling-born vision means that followers of Christ do not easily fit into the camps most people join—for example, conservatives and progressives or radicals— yet the fact that we are children of our age means that powerful currents pull us toward one shoal or another. • Yet in spite of Calvin, calling was misused to justify the status quo in both the English and the American Civil Wars. • In the seventeenth century John Cheke of Cambridge used it to attack the Parliamentary side. • In the modern world, by contrast, we have such a bias toward change and progress that this heavy-handed abuse of calling on behalf of conservatism appears ludicrous. But that is because our temptation is the progressive bias, not the static. We insist on choice, we expect change, we prize relevance, we are unthinking believers in the-newer-the-truer, the-latest-is-greatest, and what’s in and what’s out. • Since the cultural revolution of the 1960s, “Why not?” has served far more than dreams of justice; it has become the magic word with which to challenge restraint and defy prohibitions. “Why not?” and “So what?” we ask. “It is forbidden to forbid”—“Everything is permitted” in our Lotus-land of freedom. • Third, we must guard visionary faith by watching out for deceptive look-alikes. • Calling, instead of being an objective standard by which we are led, becomes a power to harness for the sake of gaining our own power—and thus the key to health, wealth, popularity, significance, and peace of mind. The result is heresy: Faith in God becomes faith in faith—for our own interests. • Dreamers of the day come into their own and stay on course when they follow the calling of Christ. • I said earlier that such a reason was unusual. I also said that of all the reasons I know, it meant the most to my family. The explanation is simple: Jane D’Esterre was my great-great-grandmother. A few weeks after this near brush with death, she came to faith. A few years later she met and married my great-great-grandfather, Captain John Grattan Guinness, youngest son of Arthur Guinness the Dublin brewer, and a former officer under a fellow Irishman, Arthur Wellesley, the Duke of Wellington. • Convenience has joined choice and change to form the holy trinity of the consumer lifestyle. • So a dangerous combination grows: Unpleasant realities recede while distaste for unpleasant realities grows. The result is our modern fastidiousness. We are too important to appreciate the commonplace and too refined to handle drudgery ourselves. • Not only are we disdainful toward the menial, but we are also ceaselessly urged to do things for reasons that are modern, limited, and dissatisfying. Instead of doing things because of their intrinsic importance—their value in themselves—we do things for instrumental reasons—their value for our self-expression, our fulfillment, our profit, and our publicity. • An appreciation of the commonplace and an elevation of the menial are two different things. But calling helps us with both of them in significant ways. First, calling transforms things by reminding us once again of our audience. • Drudgery done for ourselves or for other human audiences will always be drudgery. But drudgery done for God is lifted and changed. • Second, calling transforms things by focusing our attention, under God, on things as they are. • Many religions, such as Buddhism and Gnosticism, are world denying. As they see it, matter means decay, place means limitation, and time means death. The Christian faith, by contrast, has a bifocal vision—it is world affirming and world denying at the same time. Seen one way, the world is marred, broken by the ravages of evil. But seen another way, the world was made and pronounced good. Despite the ruin, the reality and goodness of God’s creation are constant and inalienable. • Third, calling transforms things by reminding us that drudgery is part of the cost of discipleship. • Thus a further dimension of calling appears—calling is a reminder for followers of Christ that nothing in life should be taken for granted; everything in life must be received with gratitude. • A modern world with no need of God produces modern people with no sense of gratitude. • On the other hand, the modern world has transformed a sense of debt into a sense of rights and entitlement. • Thus at the very heart of the modern world is the almost complete absence of dependency and indebtedness and a corresponding reinforcement of forgetfulness and ingratitude. • What has gratitude to do with calling? It is surely easier and more correct to see gratitude as a response to the cross of Christ. • The motive, the initiative, and the action of calling are entirely God’s and all of grace. • Christ does not choose us because we are worth choosing, but simply because in his grace he loves us and chooses us—he calls us, in fact, despite all that he had to do to seal that choice in blood. • Seen one way, calling initiates in our lives what the cross completes. Seen another, what the cross concludes beyond question as its final verdict, calling declares as its opening statement. • The link between calling and gratitude, chosenness and wonder touches our lives practically in two main places. First, it reminds us that with so much grace given to us, we should be givers of grace to others. • We saw earlier how calling can be demonically twisted into conceit. An even fouler distortion can happen with talk about the grace of calling. People who start out in wonder at their own calling can slowly, through conceit, slip into speculation about God’s calling them and not calling others, and end in making calling a thing of horror, not wonder, and God a monster. • The most common equivalent to Pharisaism today is moralism, the curse of Christian witness in the public square. • Second, the link between calling and grace reminds us that gratitude must be our first and constant response to God.